If Republican donors are serious about intervening in primaries again, and saving moderates from the party’s base, they might start in Minnesota. 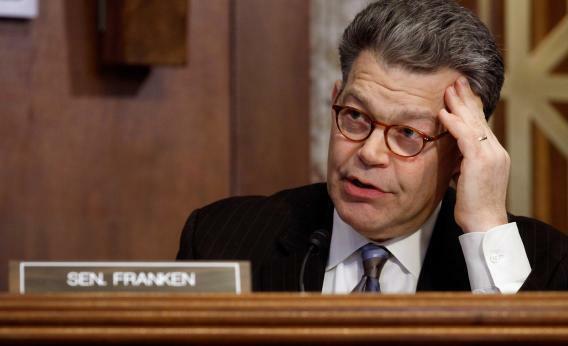 Sen. Al Franken has slowly, methodically turned himself into a more popular senator, ignoring most national media (non-Minnesota reporters politely let him walk by as he leaves Senate meetings) and sponsoring non-controversial bills like companion dogs for wounded veterans. He still only manages to top his defeated 2008 nemesis Norm Coleman and suburban Rep. John Kline by single digits. But he tops Rep. Michele Bachmann by double digits. Alas, there’s a PPP poll. Bachmann is the clear favorite among Republican primary voters with 45% support, followed by John Kline (19%), Chip Cravaack (13%), Erik Paulsen (11%), Laura Brod (4%) and Rich Stanek (2%). 6% of respondents support someone else or are undecided. Not surprisingly, Bachmann is the popular choice because of strong support among conservative GOP voters. Minnesota’s parties actually hold summer conventions before late summer primaries. Who’d have the advantage in a 2014 convention – the woman who won her first Senate primary by crowding the party convention, or somebody else? Sidebar: Bachmann has finally started to collect co-sponsors for her H.R. 45, total repeal of the Affordable Care Act. There are 13 of them, including ambitious possible U.S. Senate candidate Tom Price, Republican Study Committee chairman Steve Scalise, and former RSC Chairman Jim Jordan.